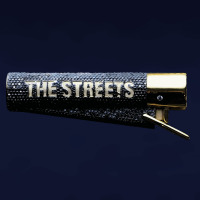 Midlands-based pop/hip-hop/grime act primarily fronted by founder and rapper Mike Skinner. Active since 2000, their biggest tunes have included "Has It Come To This? ", "Weak Become Heroes", "Dry Your Eyes" (taken from the multi-platinum-selling album, "A Grand Don't Come for Free") and "Blinded By The Lights". At the end of 2017, the band released the first new single in six years: "Burn Bridges".